I don't know who Monica Bellucci is, but judging from those photos in the link above, I am not impressed. More photoshopping is needed for me to get interested. Face reality. In 20 years you won't even look 5% as good as Monica, unless you had some major surgery. When you get my age, even someone only 5% as good looking as Monica would present a temptation. As a relatively unattractive 34 yr old male, I doubt I look 5% as good as Monica right now, but that does not stop me from being unimpressed with her unphotoshopped photos. When I check out women on the internet, they better be super freakin' smokin' hot, otherwise I'm just wasting my time. I can go to google images, type in "hot girl" and come up with thousands of more interesting pictures to examine. When I check out women on the internet, they better be super freakin' smokin' hot, otherwise I'm just wasting my time. Well, that is a given, but since we have already established the fact that we are checking out women by looking at Monica Bellucci, we must now determine the extent by which we are wasting time. Are we wasting time looking at over-the-hill Italian women or young blonde co-eds? Such decisions cannot be made lightly. I'll take Monica, as co-ed implies men and women. If I was allowed to link to urbandictionary from work, I would show you how so very wrong you are. And now I am feeling a bit dirty, so I think I will end this convo. That's what I think, too. Since your mind is the most erogenous zone, it may be very difficult to do this without thinking about those things. Besides, there actually is the problem of turning sexual activities in just pleasure of oneself. I also agree, that someones spouse can help masturbating. "More serious are the things in the case of masturbation. If a cleric causes the secretion of sperm in this way, he will be punished with idleness of one year. However, it is enough to stop the habit: if he continues doing it, he will be cleaned (I have no idea what they mean with this, maybe there is somebody who could help me.). If the onanist is a layman or monk, he will be punished with simple aphorism of forty days, which he will have to pass with dry food and hundred genuflections daily. Double as much to the aphorism and the dry food, but same on the amount of genuflections is the punishment in mutual masturbation ("double working in wanking")." I'd think, that the last sentence is meant outsides of marriage. The source of this site is the book called "Σύστημα του Εκκλησιαστικού Δικαίου κατά την εν Ελλάδι ισχύν αυτού" (System of Ecclesiastical law in the potency in Greece) of Π. Παναγιωτάκου (P. Panagiotakou) under "Το Ποινικόν Δίκαιον της Εκκλησίας" (The criminal law of the Church). This, again, shows us that masturbation isn't an act sexuality should be experienced by us, at least outsides of marriage. I think, that masturbation in a marriage is okay, as long as you don't fantasize about other women than your own wife. Also, mutual masturbation during marriage is allowed. That's what I found out, my friends. IF (and I am NOT admitting that it has ever happened) I were to check out women on the internet, over-the-hill is the only way to go. There is a nice four word term for these absolutely gorgious and classy women that I would probably get a green meatball for even using the first letter of each word. This might be because young 20-something year old women might not be interested in reciprocating with an old dude who chills with a cigar while wearing a paratrooper helmet. Four words, not four letters; although it is more appropriate than what I think Punch is wanting to write. Money talks. Come on, haven't you been to Atlantic City? The boy is 14 yrs old. Let's keep at least a semblance of his innocence still in tack. The one with all the old people playing the slot machines? Are you saying that Punch is also a degenerate gambler? Nah, just that people from NJ...eh, nvm. One could do much, much worse. I could easily venerate those images by fapping. Yeah. I think Cyrillic is having a bad day or something. Only 14? Well, that is different. He does not want to go to the four word sites, but to the ones named after a rather large cat (also called a mountain lion). Some real bargains to be found, too. 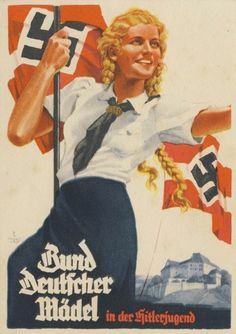 Sorry, I don't go for Nazi women. Who wouldn't want one of them at your feet? You vill fappen zu me. 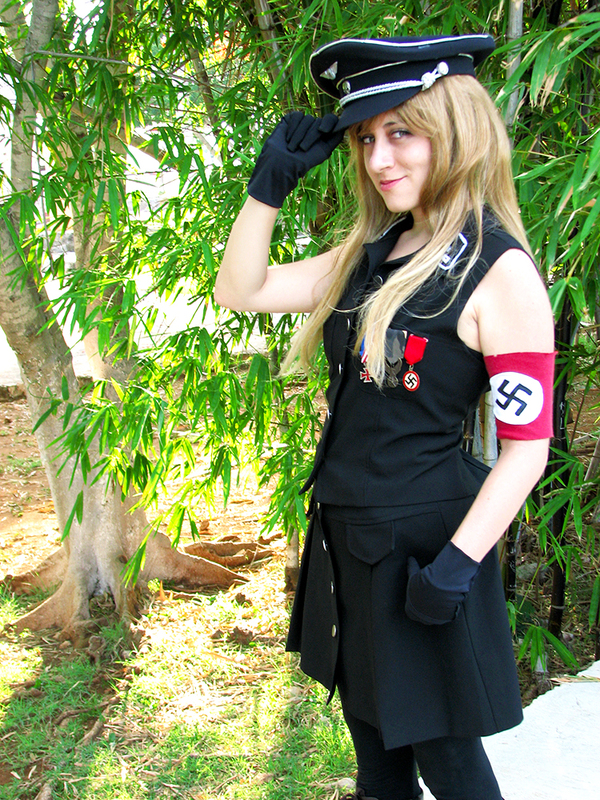 My Allegiance to the Third Reich has been confirmed. ...and this thread took a swift downhill turn if that was even possible given its starting point. This should be closed....Godwin's law. All good threads eventually get Godwined. So, how about that masturbation, huh? 1. If you are masturbating to visions of hot (defined however you wish) women, you are sinning. 2. If you are participating in noetic masturbation where you are flogging the bishop with no passion, you may or may not be sinning. 3. The one eyed wonder worm was installed on your body by Satan himself and if you are even aware that it is there, let alone have seen or touched it, you are going to Hell. And if you even think of putting it in your wife at any time other than the two days a year the Chruch allows, you will spend weeks in the Toll Houses. Theres days when you cant put it up?